Discover all of the random events in Pokemon: Magikarp Jump and the conditions needed to unlock them. 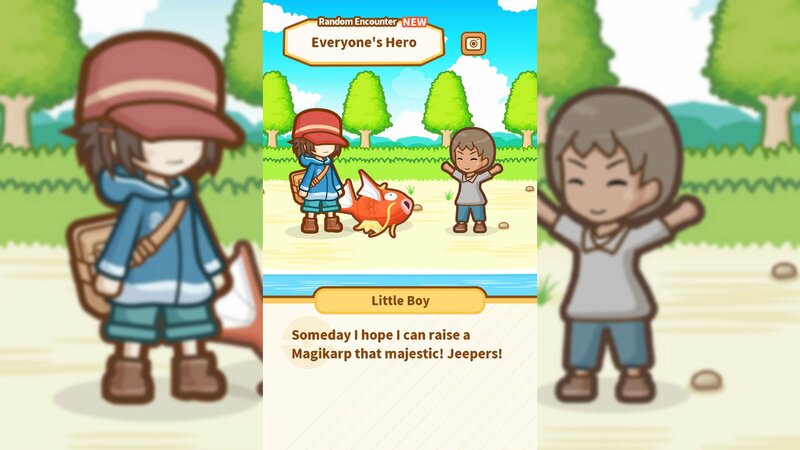 Players who have jumped into Pokemon: Magikarp Jump, the latest free-to-play mobile game from The Pokemon Company, have likely already noticed the game's wide array of seemingly-random encounters. These encounters, or Events as they are called, only occur after set goals have been reached, and are afterward triggered at random. Many of the events bestow bonuses like Job Points, Training Points, or special items; however, some can spell certain doom for the player's Magikarp. Fret not, though, for we've got the full list of every special event and all of their potential outcomes coveniently compiled below. Below we've listed all of the known events out of the 34 total events featured in Pokemon: Magikarp Jump. Most events occur at random once the unlock conditions have been met, and many featured randomized rewards, meaning players may not receive the same reward from each event. Description: Magikarp spots a piece of fruit underwater. Ignoring the fruit earns JP; successfully approaching the fruit earns even more JP; unsuccessful attempts result in loss of the Magikarp. How to unlock: Complete the Fast League. Description: A man approaches and offers a Nugget, which sells for a scaled number of Coins. How to unlock: Complete the Quick League. Description: Magikarp spots a Pokeball in the road. Ignoring the Pokeball earns JP; opening the Pokeball gives a random chance of finding coins or items; alternatively, finding a Voltorb results in the loss of the Magikarp. How to unlock: Finish the Quick League. Description: Magikarp spots a tree with berries. Ignoring the tree earns JP; successfully jumping for berries earns more JP; unsuccessfully jumping results in a Pidgeotto sweeping away the Magikarp. How to unlock: Finish the Friend League. Description: Mayor Karp appears, congratulates the player's success, and offers up a drink to restor Training Points. How to unlock: Finish the Heavy League. Description: Mayor Karp shows up to massage your Magikarp, providing bonus JP or restoring one Training Point. Description: An adoring fan speaks to the trainer, resulting in a boost in JP or a restored Training Point. How to unlock: Occurs randomly after battles. Description: Roddy Tackle shows up, praises the trainer, and offers up Coins. Description: A random fan arrives and offers encouraging words, resulting in bonus JP or a restored Training Point. Description: Mr. Yoso arrives with a message from a fan and offers up Coins. Description: Magikarp spots a mysterious sparkling object underwater. Ignoring the object earns JP; successfully investigating the object has a chance to earn Coins or Items, or cause Magikarp to lose JP due to exertion. Description: The trainer is offered to join a special Jump Course. Ignoring the offer earns JP; successfully completing the course earns more JP; losing the challenge results in a loss of JP. How to unlock: Finish the Fast League. Description: The trainer is approached by a scientist offering an experimental new drink. Ignoring the offer earns JP; accepting the offer successfully earns even more JP; accepting the offer unsuccessfully loses JP. How to unlock: Finish the Great League. Description: Magikarp finds itself separated from the trainer and needs to find its way back. Telling Magikarp to wait earns JP, while telling it to search may result in a loss of JP. Description: The trainer encounters a Snorlax blocking their path. The player's Magikarp takes a nap on its stomach and regains all Training Points. How to unlock: Finish the Quick League and have Snorlax as a Support. Description: A Pidgeotto attacks, prompting Pikachu to step in and defend Magikarp, earning JP. How to unlock: Finish the Friend League and have Pikachu as a Support. Description: A Magikarp fan requests to see the Magikarp jump, which restores one Training Point. How to unlock: Finish the Luxury League. Description: A scientist approaches the trainer asking to trade the Magikarp for a Gyarados. The offer is automatically declined, and the Magikarp earns JP. Description: A Luvdisc shows up and asks the trainer for assistance, earning Diamonds. Description: Magikarp and Slowpoke meet up for an unusual conversation, which restores one League Play. Description: After training, a fan shows up and commends the trainer for his training prowess, restoring one Training Point. Description: Magikarp seems to want to skip training. Scolding the Magikarp may gain or lose JP; choosing not to scold it earns JP. Description: A scientist requests help from the trainer for an experiment. Declining the offer earns JP; accepting the offer may earn JP or lose the Magikarp after it evolves into a Gyarados. Description: Mayor Karp delivers a letter from a fan containing a random item. Description: Mayor Karp delivers a letter from the Magikarp's next opponent, which causes Magikarp to earn JP. Description: Mayor Karp shows up and tells various stories about Magikarp. Description: Feebas sometimes shows up in the trainer's home pond; tapping it unlocks JP. How to unlock: Occurs at random. Description: A Manphy sometimes swims into the trainer's home pond; tapping it causes a large amount of food to spawn. 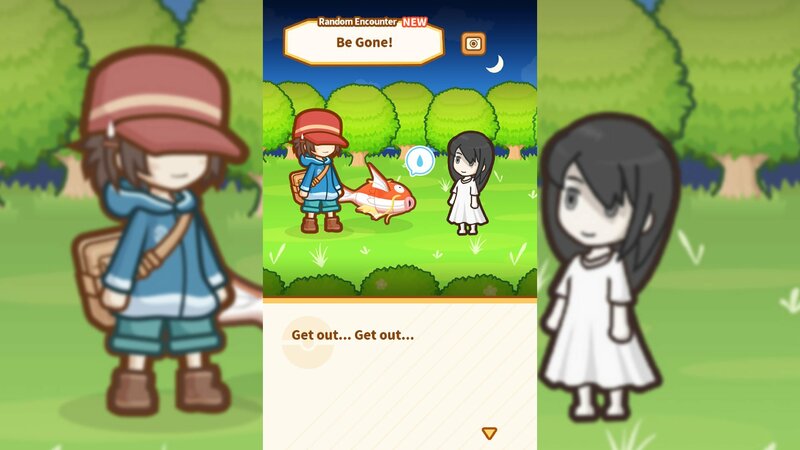 Description: The trainer and Magikarp encounter a spooky ghost girl telling them to leave, which increases the Magikarp's max level. How to unlock: Click the TV at the home pond and cancel the prompt seven times, which will cause static to appear. Repeat the process seven more times until the TV appears fine, then train the Magikarp. Event: Hop, Skip & Whump! Description: Continually jumping out of the pond will result in a Pidgeotto swooping in and taking the Magikarp. How to unlock: Jump repeatedly in home pond. Event: You Can Do It! Description: The Magikarp is on a losing streak, and earns a complete refill of Training Points. How to unlock: Lose three times in a row. 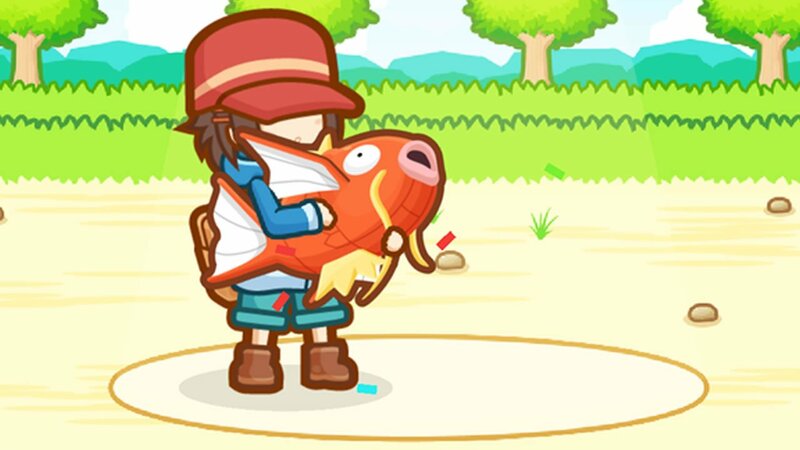 Description: Tapping the Magikarp repeatedly to break the Everstone will result in the loss of the Magikarp, as it evolves into Gyarados at the next level up. We've got other excellent Pokemon: Magikarp Jump guides, including a rundown on how to fish for Magikarp as well as how to train Magikarp and start winning battles. Rake in the dough alongside every harvest by farming Stardew Valley's 18 best and most valuable crops. Motorized Luggage Is Now A Thing - What Is The Motobag? Zippy and accommodating, the airline-certified Modobag is part carry-on and part go kart.